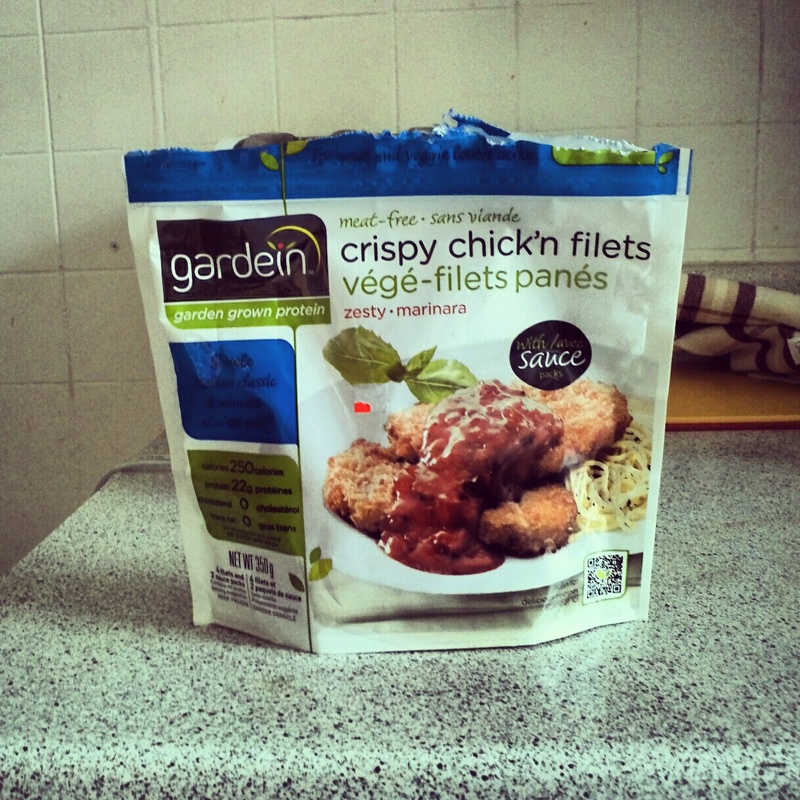 If there is ONE product that proved to me I don’t miss meat, it’s these crispy chick’n filets by gardein. Oh. My. God! When I got them out of the oven, my kitchen smelled like real chicken filets. Except that was no chicken! The patties are made mostly of soy, veggies, oils, and spices. The breading is made from wheat flour, sugar, yeast, leavening, and paprika. These filets were perfectly crispy and tasted like heaven. A meat eater could be fooled! However, I found the patties a bit small (kind of the same size as a burger patty), and if you do the math, they were about $1.50 each, which is a bit on the expensive side. Matthew and I had 2 each, and I know for me I would have eaten more. Also, I was not a big fan of the marinara sauce, as I found the filets tastier on their own. It did make for a little treat, and we will definitely have them again!